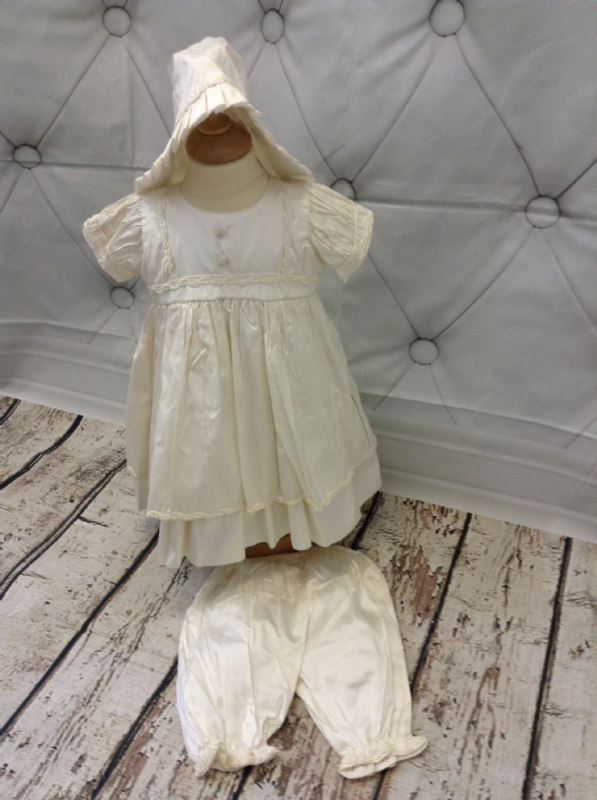 Vintage Silk Ivory Christening Dress, comes complete with matching bonnet and knickerbockers. Dress is fully lined in poly cotton to be soft and cool against babies skin, and has a convenient zip at the back for ease of dressing. Please review size guide below to ensure correct size before ordering. The below sizes are finished sizes of the dress, allow around 1" of room in measurements to ensure a good fit.